All of the below information comes directly from job reviews written by easyJet employees based on 55 reviews. Make sure your cover letter really shows how much of a 'go-getter' you are - the company isn't really the right place for someone who waits around for things to just happen! Just be yourself would be the best advice I could give. The assessment day was fairly relaxed, designed to make you feel at ease. Use it as a chance to find out if the company is the right fit for you too. I was asked a lot of questions from my CV (so make sure you know it well) and questions about where I'd demonstrated certain skills - it's best to have lots of different examples.I was also thrown a few more unusual questions, but the interview was very relaxed so don't panic yourself. Examples - in the 1-1 personal interview, be prepared to back up your answers with real life examples where you have applied a certain skill. Cliched advice, and I know it used to drive me insane seeing it, but 'just be yourself' is the best advice you can get for the assessment centre. Don't be afraid to speak up in the group tasks if you have an opinion/disagree with someone, but conversely, be conscious that you're not being too overbearing. If the applicant has had previous work experience be able to bring that to life in a way that would bring benefits to easyJet. The interviewer will want to get to know the real person behind the CV too. I would advise a candidate to be true to who they are as a person - interview easyJet as much as they interview you and make sure this is a place you really do want to work as if you love working here as I do, you will really do well on the scheme. One of the most important things is making sure you are on board with the easyJet culture... we work hard but we also play hard. We put in the hours where needed but make sure we get that vital work life balance. I would advise them to research the airline and the airline industry and our competitors as it really shows on the day who has done their research! Mostly, though I would advise them to have fun at the assessment day, relax and let their personality shine through instead of their nerves. Interview questions consist mainly of competency based questions... tell me a time when you led a team, solved a problem etc. I would create a list of 20-30 possible competency based questions and come up with an answer for each of them. You can draw on part time work, voluntary activities, sports teams, travel experience and university work to generate your examples. Also the standard questions are asked...Why do you want to work here etc. 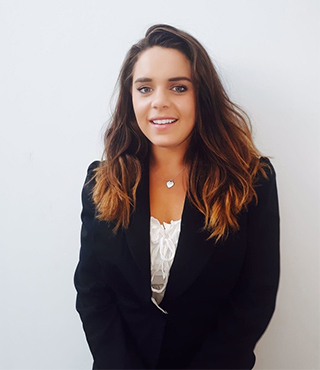 An interest in aviation is preferable but not essential - I didn't really know anything about the industry before I came but I was passionate about travel and customer experience, which has definitely helped me in my placements. So if you don't know much about aviation I wouldn't let that stop you - you're here to learn! Like everyone else says - be yourself. If you fit in with our values then you'll be right at home! Draw on all your experiences, I think it's best to show you're well rounded and can give examples from times when you managed or achieved something. Speak up - don't be that quiet person in the corner, but be wary of how you're coming across to other people. You need to be a team player to work here. The application process is pretty straightforward, so just be confident in yourself. Also, during the online assessment tests, do not stress up if you cannot get to finish all of the questions, but focus on getting right as many as you possibly can. There are a lot of people who are truly passionate about aviation working for easyJet, so if you are as well, that is a very good first step. Be open and yourself, as this is what easyJet likes. Try to contact/speak with graduates who actually work for easyJet to get a feel for the job roles. Express an interest in travel, different cultures, working with different people and understanding European travel. Be yourself. While certain skills are necessary for the job you're applying for, easyJet hires the person. For the grad programme, interviews are competency based so brush on possible questions and answers. Show passion for the airline industry. Show a willingness to interact and get on with things. You need to fit with the culture of the organisation. Show that you are a well rounded individual. Language skills and travel experience really help. Skill based and situational questions. Evidence that you can effectively work and deliver as part of a team. Be yourself & relax. easyJet employ honest and upfront people who will easily align to our customer charter. A lot of the application is based on online tests and questionnaires, so I would suggest being as honest as possible and don't rush through all the questions - keep a calm head. The interview was given on a whole day Assessment Centre and also included 2 group exercises and a presentation as well as the interview. With these I would suggest just being yourself and staying calm, the atmosphere of the day is very calm and friendly so this should help with this. Be prepared with examples of situations where you have excelled - the interviewer would doesn't want to hear you just say you are good at something but wants to hear or see proof of such. Just be honest and yourself. Key, to show an interest in aviation. Need to be very organised, need to be comfortable with excel and working with different systems. In addition the report requests are soemthing that cannot be planned in a day to day activity. This can be slightly overwhelming if you cannot cope/drowns with having more and more tasks added to your day on a hourly basis. Be yourself, this is cheesy but it is true. Show that your are both professional and have all the competencies that they are looking for as well as you have researched the company and passionate in working in the company you are apply to. In addition it is not only about your competencies but how you are as a person, your attitudes and behaviours throughout the interview. You need to be someone that would seem to fit in the company. Be prepared to work hard from the offset and never quite feel like you're fully on top of things. Be passionate about the airline industry. Know about the company and do the necessary research. Research the company in detail - also recent industry news. It's an assessment centre, so there are several tasks including an interview. My advice for that would be to relax and try not to think too much about the fact you're being judged. However, there is a list of behaviours/competencies listed on the website, so common sense would suggest these are likely to be used as a benchmark. Take an interest in the companies performance and express knowledge or enthusiasm within the aviation industry in general. As this company is extremely fast paced, it will be great for you to demonstrate commercial awareness and think of any examples of sceranios that reflect easyJet's culture and values. Leadership qualities are really important at easyJet as you get so much exposure within the company. Think of examples that you can give that reflect this and really think of the reason why you are applying to the company as it is important that you want to work for easyJet, not just want to secure a graduate job. easyJet looks for a certain type of person. Of course you need a good degree and good involvement in extra-curricular activity but when it comes to assessment centres- its not about knowing as much as you can, its about being open, honest, embracing our values with open arms and most of all, being friendly. Be yourself - It's a fast-paced and professional environment but the people here are down-to-earth and know how to have fun; By no means are we under a delusion of grandeur. Be honest and smile; It's easy to tell if someone is being genuine... unless they have a Masters in Drama. To work on their organisational skills as they are going to have to come up with a business plan for a subject that will be revealed to them on the assesment day. So they will need to be structured and organised to create a coherent strategy and explain its implementation and the benefits for the business. Try to show your team work skills and to give reasons for almost everything you say. Also, always participate in every discussion. Show your interest on airlines and how much you know about the business itself. Dont underestimate the hours of commitment and hard work required, and the 'step up' that a graduate scheme is from being at university. competency and 'life experience' based questions. Search for the position that you are most passionate about. Online tests can be challenging for some, specially if not used to doing this kind of exercises. So get ready and prepare them. The Assessment Centre day is set up so that applicants feel as less pressure as possible and therefore they can give their best. So advice is to enjoy the day, because at the end of the day you'll have enjoyed it. Personality isn't everything but is a key indicator to the employers on how well you will fit in. easyJet are looking for people who are energetic, flexible and resilient. If you prefer a working environment that allows you to shut away from everyone and get on with your own work, then easyJet's offices are not for you. Contrastingly, an outgoing inquisitive attitude will help you fit in to the company very quickly. Be yourself. easyJet are mainly looking for your ability to interact with fellow interviewees. If you arrive to the assesment day and try to be somebody else, you will be doing nobody any favours. Go for it and try your best! It is a great company to work for! just be yourself, never think there is a right answer what you say as long as said in the right way and argued correctly will always be right. Draw on a wide range of skills, there is a mix of graduates here from all kinds of backgrounds but personally I found it helpful to draw on my experiences abroad and learning languages, as easyJet is very much a european airline. When you choose your area there's so much information on the careers website, definitely use it! When I went to the assessment centre I had it in my mind that it would all feel very competitive and scary but everyone was really chatty and friendly. I was worried about being asked aviation/operations related questions but luckily they don't focus on that kind of knowledge. My advice would be to learn about the company, and especially learn about it's values and pillars and how you demonstrate those because that will show assessors if you're the right fit for the company. You have to ensure you understand the easyJet culture. If you want a strict, rigid structure of learning with set rules and boundaries, this is not the company for you. If you want to feel like you can develop within the aviation industry, your passion will be reciprocated. come prepared with a wide variety of examples for skills like leadership, passion and integrity. Number one is to be honest on your application. Make sure you don't let yourself down by having any spelling mistakes or grammatical errors.